A written standard for each breed describes the appearance of a dog built to perform well at the job it was bred to do. Judges make their choices according to their understanding and interpretation of these standards. Dogs are assessed both standing and moving and compete first within their own breed. The breed winners go on to the group (Sporting group in the case of labradors) competition. At the end of the day, the winners of the seven groups vie for Best of Show honours. 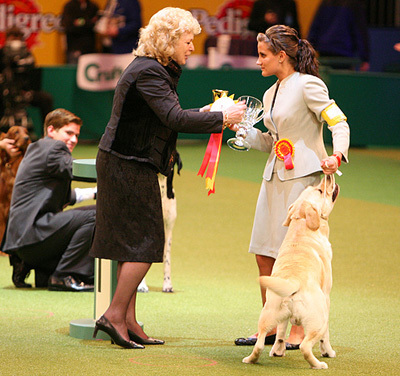 Winning dogs are awarded points based on the number of other dogs in their class. When dogs accumulate 10 points, they are awarded a CKC Championship title.